Saree weaving isn’t just a source of livelihood for weavers, it’s their passion — one that has been with them for centuries. 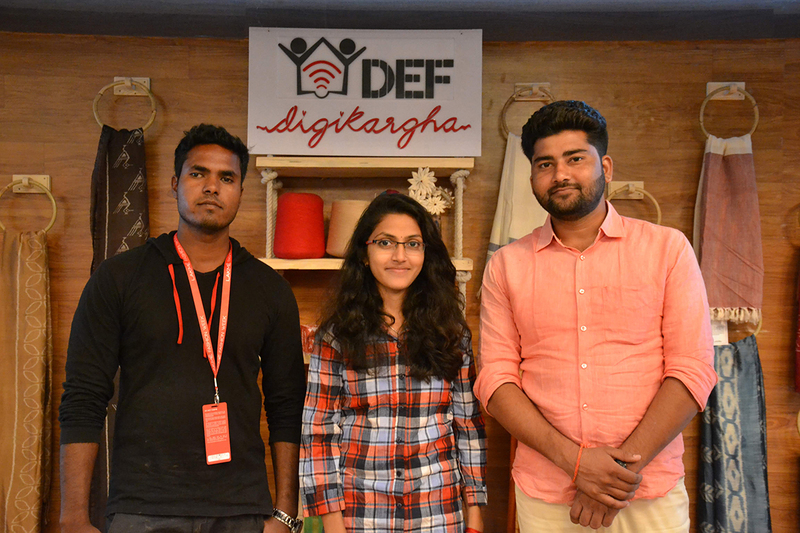 To support this passion in the digital era that we’re living in, weavers in various parts of India, have joined hands with Digital Empowerment Foundation (DEF) to get on the digital bandwagon to showcase their design and the artistry of their craft globally. Encouraging digital adoption in the handloom clusters of India, DEF collaborated with three designers last month to showcase a new range of exquisite handloom products under the brand name of DigiKargha at Lakme Fashion Week Autumn/Winter 2018, for the second consecutive time, to promote the #ArtisansOfDigitalAge on the runway. Here, rather than celebrities walking the ramp, it were the weavers themselves who walked with the designers as showstoppers.